Австрия и Я » Общий форум » Новости из мира » Знаменитая девочка-"Маугли"
They say some are born travellers. Some achieve travel. And some have travelling thrust upon them. Or words to that effect, I’m sure. 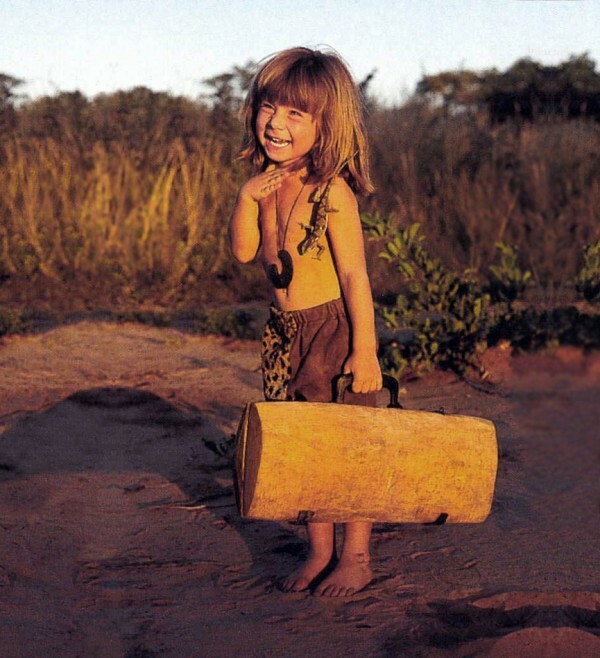 And so, to the latter category must belong Tippi Degré, a little girl who spent the first, incredible ten years of her life growing up in the wilds of Africa. 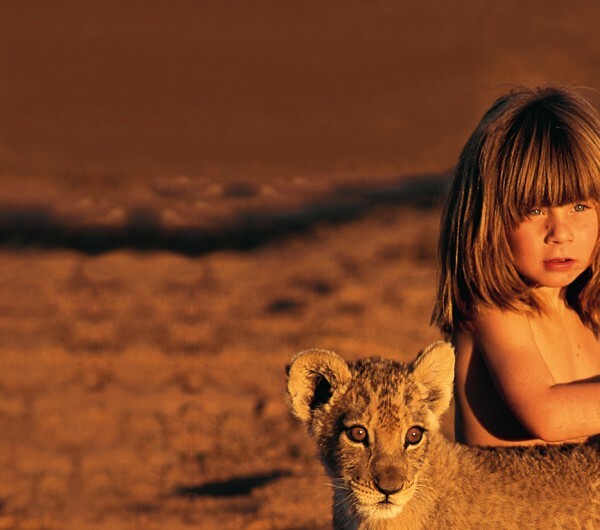 Born in Namibia in 1990, the daughter of French, freelance wildlife photographer and film-maker parents, Tippi experienced a childhood worthy of Mowgli amongst the exotic animals and people of this captivating continent. Just swap those steamy, Rudyard Kipling jungles for the magical, open Savannah and African bush. 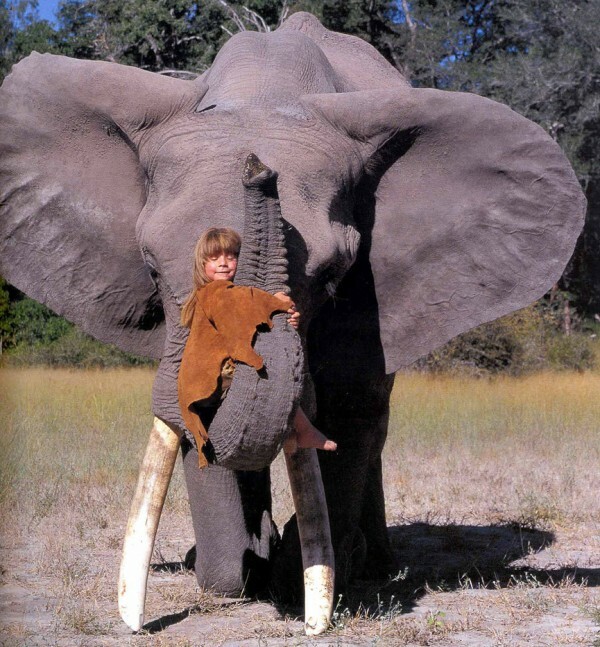 The family extensively travelled Africa, spending time in Namibia, Botswana, Zimbabwe and South Africa and Tippi’s younger years have been documented by her parents in the unbelievable book Tippi: My Book of Africa. The collection of glossily gorgeous photographs showcase a tiny, Flintstones character, simply dressed and living an idyllic existence with her African animal friends. 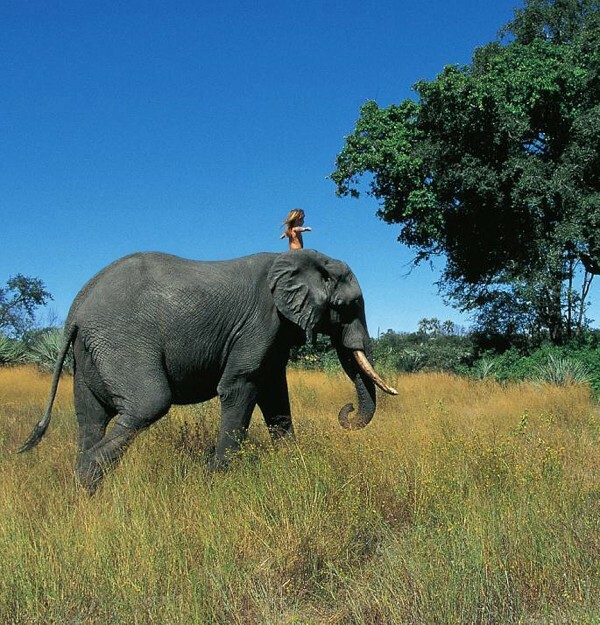 Images of Tippi perched happily on the trunk of a mammoth-esque elephant, riding a tame ostrich, affectionately cuddling giant frogs and lazing with lion cubs portray a happy and fearless female that didn’t often see other children, instead choosing to see animals as her playmates. She called Abu the elephant her brother and a leopard named J&B her best friend. 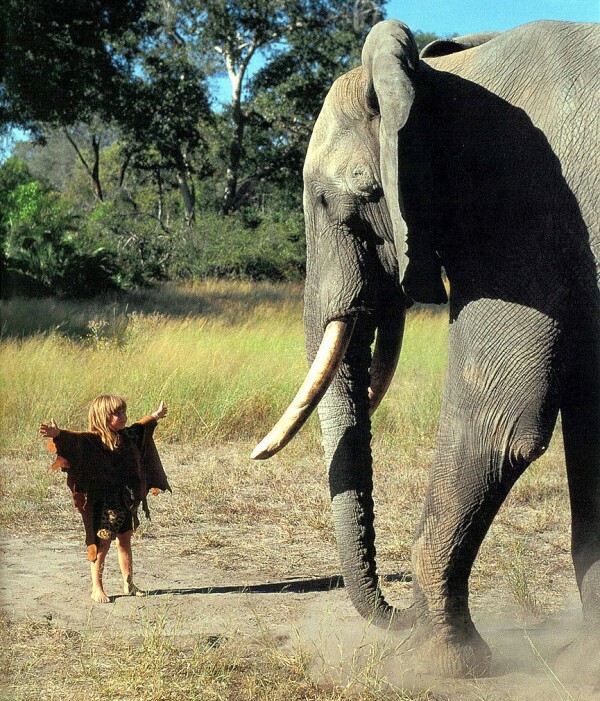 Adhering to her parents’ mantra, ‘Don’t be afraid, be careful’, little Tippi believed she could communicate with the animals and used her powerful imagination to understand how they might be feeling. In her book, she explains her belief that we all have a gift and hers is relating to the wild animals of Africa. It appears from all accounts this affinity was reciprocated as although Tippi played mostly with orphaned animals and those brought up by local farmers, these animals were by no means domesticated tabby-cats. J&B once attacked another child and Tippi was furious, storming up to him and telling him to ‘stop that’ until he ran off with his tail between his legs. Tippi was unhurt. 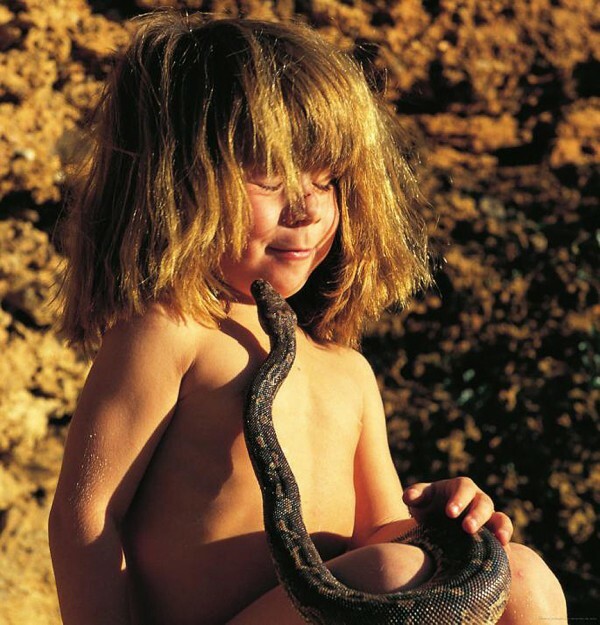 In fact, there are only two incidents her mother, Sylvie, could recall that affected Tippi directly – once a meerkat bit her on the nose and another time a baboon pulled her hair. The animals seemed to look out for her daughter. 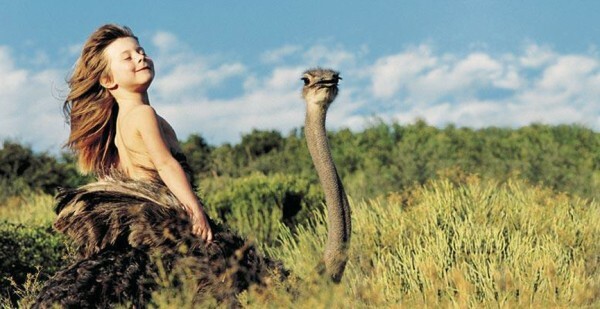 When Tippi rode Linda the ostrich, Linda refused to move for fear of the little girl falling off. There were, however, limits to Sylvie’s tolerance. 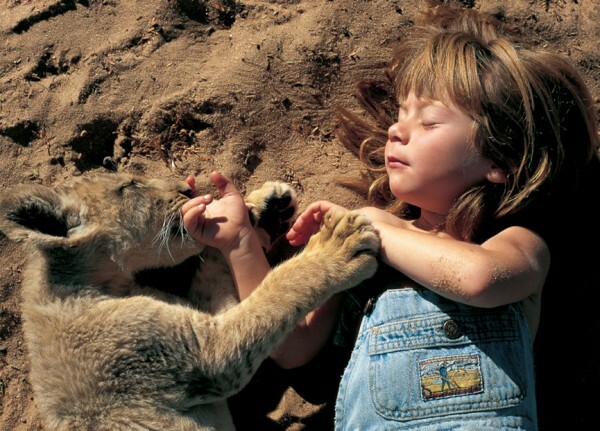 She took Tippi to visit Mufasa the lion cub, a year after photographing the pair cuddled up contentedly together and found he had grown so large, he nearly knocked her over with his friendly approach. 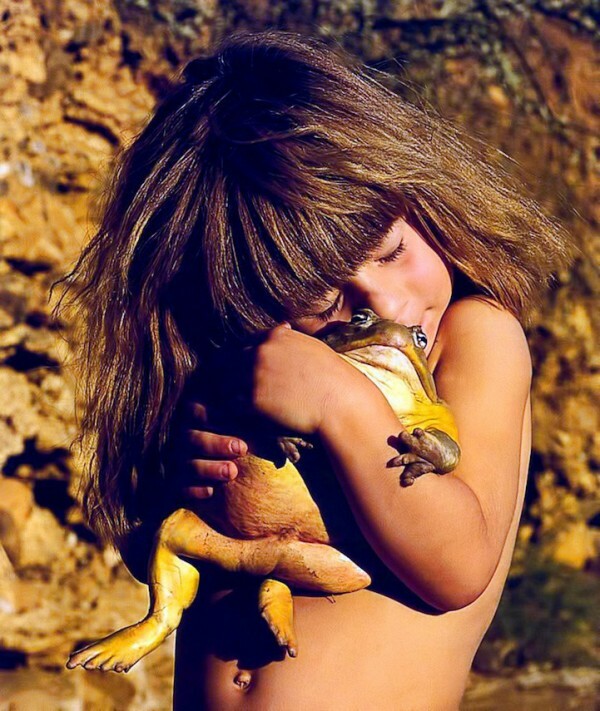 Sylvie found she felt too uncomfortable around a predator of his size and had to take Tippi away. 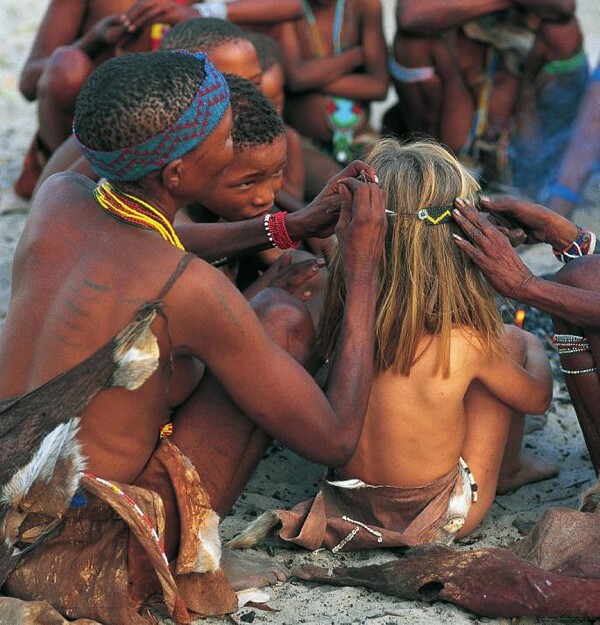 The pictures also document her unique experiences befriending and being looked after by the Bushmen and the Himba tribespeople of the Kalahari, learning how to forage for roots and berries, speak their language and shoot a bow and arrow. Now, we all know the conflicting feelings that come along with returning from a long stint of travel. How excitement at seeing family and friends clashes with the loss of life on the road and the adjustment to normality clouds your mind with a vague befuzzlement of pop-up questions like ‘How do shoes work?’ ‘Why am I so freaking cold?’ and ‘Why did I buy all these pairs of fisherman pants?’ Imagine the tough transition waiting for Tippi when, aged ten, the little princess of Africa returned to Paris to attend the local, state school. 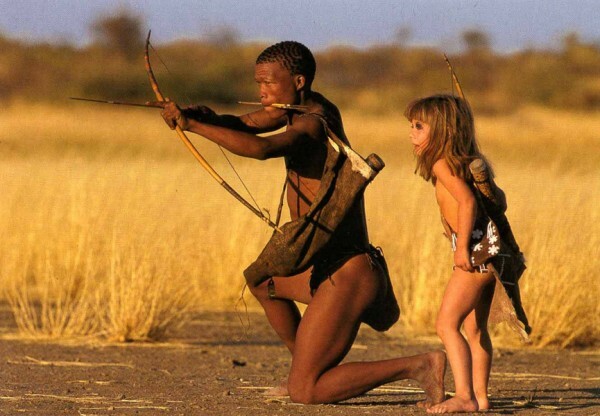 Unlike Lindsay Lohan in Mean Girls who utilised her wild, African upbringing to defend herself against the savage, pink, plastic world of American high school, Tippi had so little in common with the other children and missed her animals so much, her parents decided it might work best if she was homeschooled. In her teens, Tippi returned to South Africa to make six nature documentaries with the Discovery Channel, keen to promote the world’s understanding of the need to conserve and protect the beautiful animals of Africa and hopes to become an ambassador for Namibia in the future. So, what do you think – do these pictures show us the tiniest Travelette yet? Her family photo album sure beats mine! Но вот жабу она, мне кажется, всё же задушила. — Вы только посмотрите на глаза этой несчастной рептилии.